Wether you are looking for lunch, brunch, coffee or dinner, there is a hidden courtyard for that. It is Berlin, after all. And a lot of what goes on in this town takes place away from the “street level”. Read on to discover our favorite such experiences! 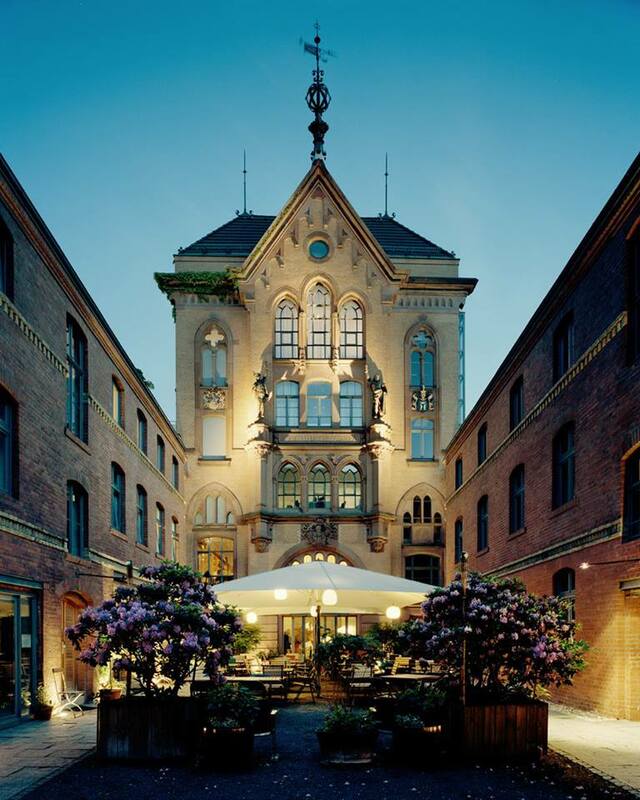 By now you know that we are absolutely in love with Berlin’s inner courtyards. We have even written a Inner Couryard Berlin Guide and a Hidden Courtyard Coffee Guide. Not only do these urban oases inspire us to explore and discover some of Berlin’s secrets everyday, but they also hide some of the city’s most atmospheric food experiences. 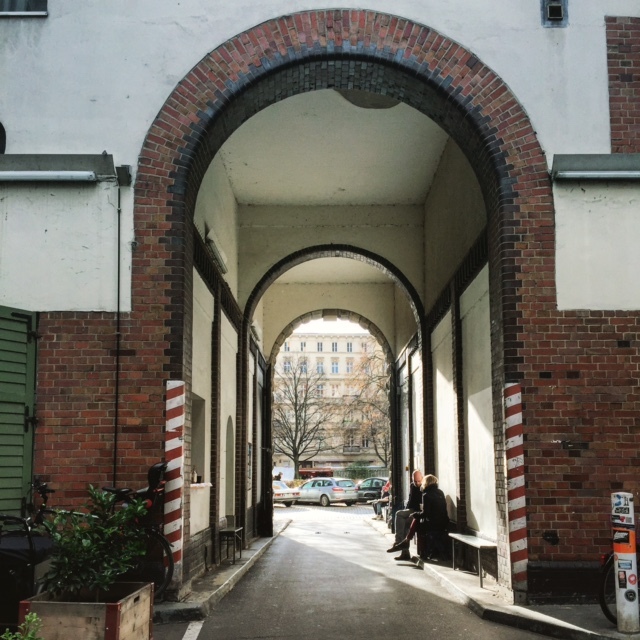 Enjoy our “Berlin Restaurants in hidden courtyards – a comprehensive guide”. 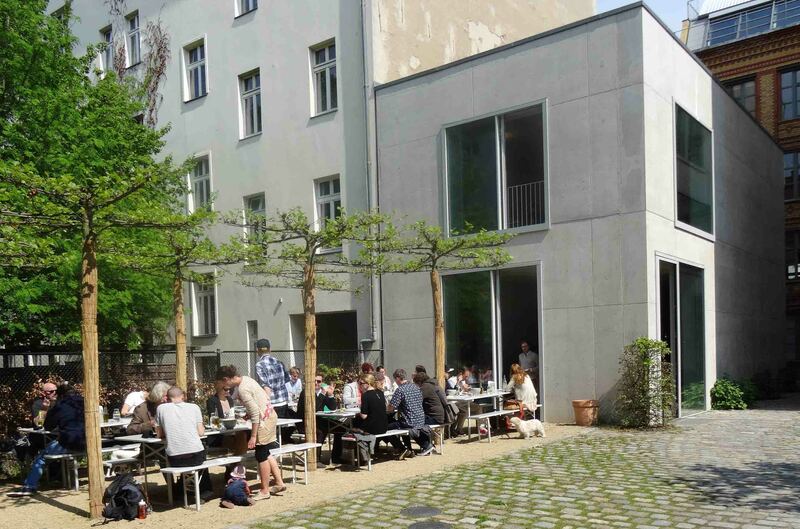 Tip: During the warmer months, get there early or make specific reservations to enjoy these Berlin restaurants in hidden courtyards “al fresco”! Mars is located at the back area of a deactivated crematorium turned office, culture and art space. After or before your meal go for an exploratory walk through the whole complex. Panama Restaurant and Tiger Bar occupy one of the hippest inner courtyards in town. Right off what is currently the epicenter of Berlin’s gallery scene. Zola’s Neopolitan style pizzas are some of Berlin’s best and you can enjoy them in a courtyard right by one of Berlin’s coolest canals. There are quite a few cool inner courtyards to explore around here. Explore away, but on a full stomach! Lunch with friends in the building complex where famed architect David Chipperfield has his Berlin offices. Modern architecture meets old brick buildings. A “cool crowd” pleaser! 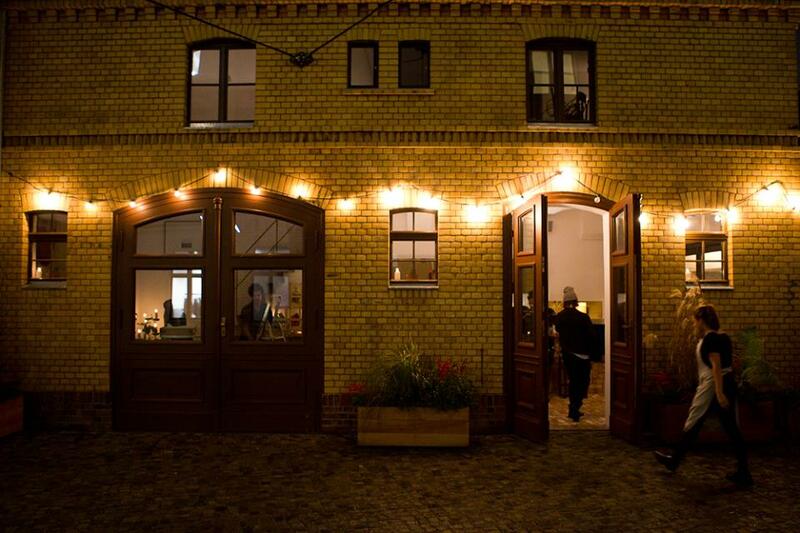 Photo from: http://www.mittagsinmitte.de (Another cool Berlin blog). Hidden in an atmospheric inner courtyard just off Chaussesstrasse in Mitte, this restaurant serves all kinds of Schnitzel. They also have an outpost in Charlottenburg, for you, Schnitzel fanatics! 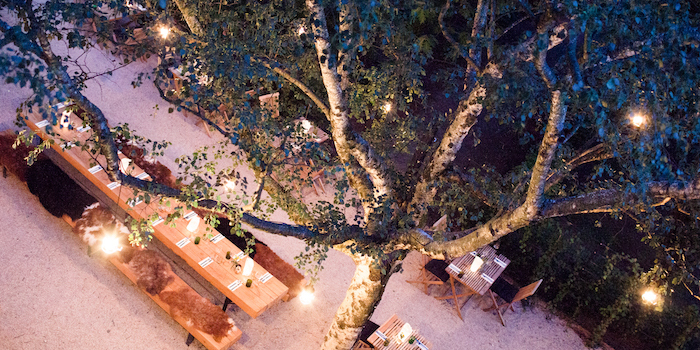 Perhaps one of the prettiest restaurant courtyard experiences anywhere. Katz Orange occupies an old brewery building on a quiet corner in Mitte. 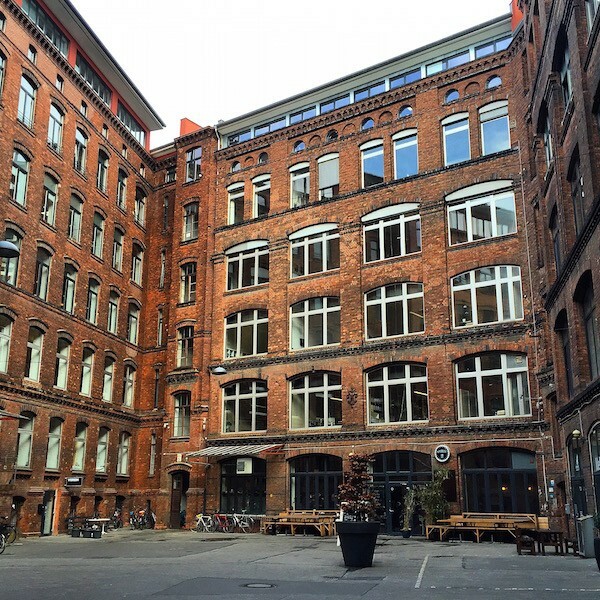 A casual industrial (and stunning) courtyard in Kreuzberg is home to one of the coolest lunch hotspots in Berlin: Vabrique. There are some cool street art walls around here. Explore! Kanaan has been raved as having the best hummus in Berlin. 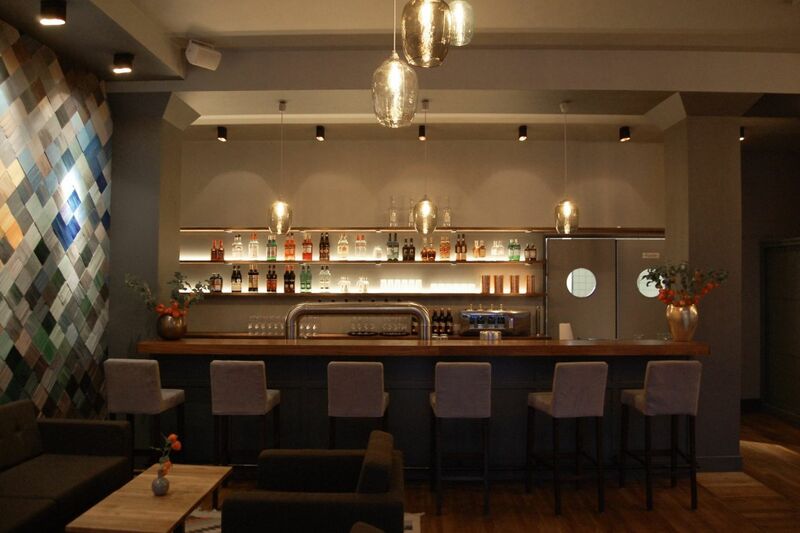 Enjoy the “Berlin vibes” of this “junk yard” turned hip restaurant. Make sure to explore the back patio overlooking the train tracks. It is fun to eat delicious food while trainspotting! Trust! Café Bravo’s exterior mirrored structure reflects the beautiful courtyard that surrounds it. A treat, really! 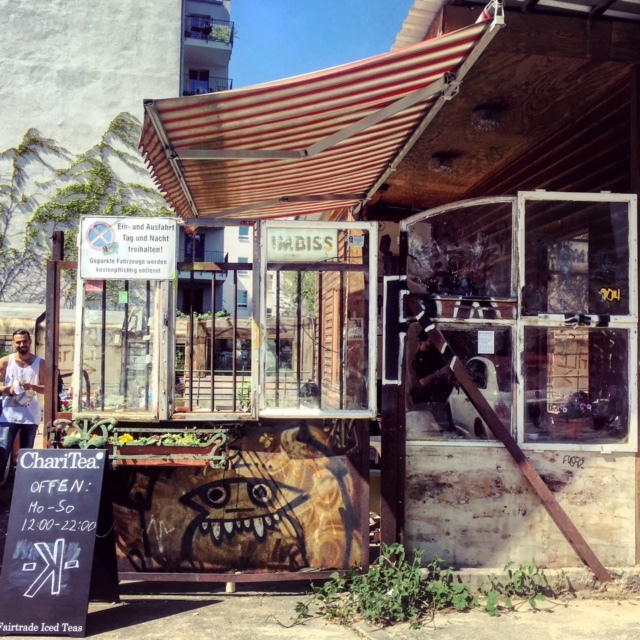 Do not miss visiting KW Institute of Contemporary Art, located at the same courtyard.